This website will provide some important information about The Santorini at Tampines, to help you in making a wise decision about owning The Santorini, be it for your own stay or for investment purpose. The Santorini is the new exciting development located at junction of Tampines Avenue 1 and Tampines Avenue 10, Singapore.The Santorini is connected to major arterial roads and expressways such as Tampines Expressway and Pan Island Expressway, Tampines West MRT Station (future)which is located in close proximity to the site, will provide convenient access to all parts of the island. Also, there is a generous number of Bus Startion around the vicinity as well for the convenience of many future residents. 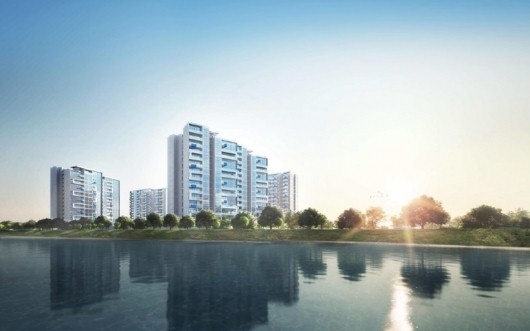 At The Santorini Singapore, residents can enjoy the amenities nearby Tampines Avenue 10 with many shopping malls and sport center such as Tampines One,Tampines Sport Complex, Tampines West Community Club. Besides, you can engage in outdoor recreation activities or enjoy a leisurely walk at Bedok Reservoir Park. Educational Institutions are also nearby.The Santorini is also an ideal home for families with school-going children. Numerous reputable schools include many primary and secondary schools, Temasek Polytechnic, ITE College East, United World College of South East Asia . we will get back to you shortly. Alternatively you could give us a call.